No other carrier has the saturation and number of direct service points to serve Central and South Alberta like we do. 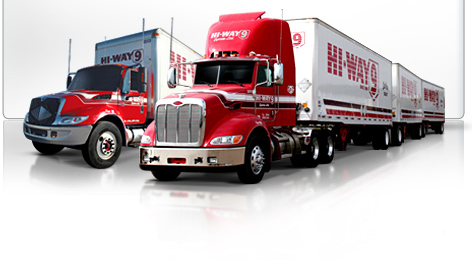 Overnight and same-day LTL (Less Than Truckload) are the core services of our company and have been since 1969. In recent years we have also added 2 levels of time critical service in response to our customer changing requirements. We take a very personalized approach to serving the daily requirements of over 450 Alberta communities and more recently, Southwest Sakatchewan (south of highway 16). Our “local service, local relationships” approach is one of the many things that sets us apart from any other transportation provider. The H-9 team member that serves the area is from the area...it truly makes a difference! By creating a Hub and Spoke system, we can deliver to any of our major Points of Service by 8:00 a.m.